RT Nuba means " The Nubian Island " in Nubian language . RT Nuba band was founded to revive the Nubian music and to preserve the old heritage of the Nubian art. The band aims to develope this heritage by presenting it in a more contemporary styles to cope with the recent time. 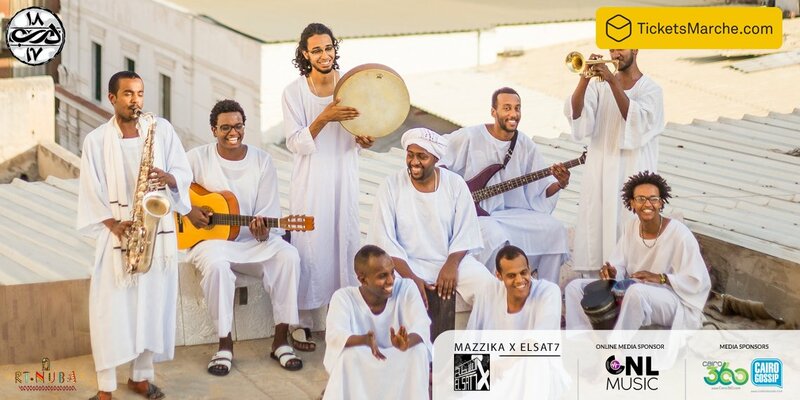 All the band members are from different Nubian villages, and they gathered for only one purpose; spreading the Nubian culture through the Nubian music. RT Nuba music is distinguished with its Nubian essence and with reflecting the Southern spirit. We stick in our melodies to the pentatonic musical scale and polyrhythms.